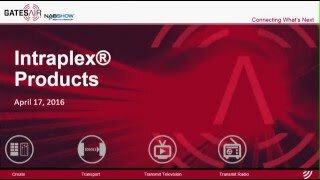 Intraplex NetXpress™ takes IP audio transport to a new level of performance and reliability. It provides transport over packet-switched networks for a wide range of real-time audio, voice, video and data applications. As the industry’s best platform for professional audio over IP, NetXpress offers system-level resiliency, sophisticated network monitoring and excellent bandwidth management. NetXpress delivers all the quality of Intraplex and all the economy of IP in one solution. NetXpress is designed for professional applications such as contribution and distribution circuits, studio-to-studio, STL/TSL links, remote pickup, program and spot delivery, confidence monitoring of remote sites and emergency backup of program feeds. NetXpress accepts a variety of existing Intraplex plug-in modules for audio, voice, data and video transport. Audio codec modules supported include linear uncompressed, Enhanced apt-X®, MPEG, G.722 and J.41. NetXpress allows for easy migration from dedicated circuits to IP-based networks by leveraging existing assets. Increase coverage by building SynchroCast3™ simulcast systems with NetXpress over T1/E1 or IP networks. Built-in forward error correction, packet delay jitter compensation, and low-delay packet processing provide high-quality, robust audio streaming. 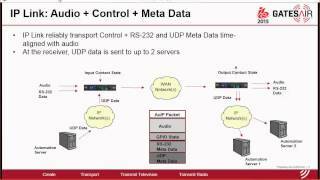 These features overcome anomalies commonly associated with packet networks. Widely deployed and established LAN/WAN connections offer lower cost and higher-bandwidth alternatives to dedicated full-time links. NetXpress can accommodate up to 32 simultaneous streams, one-way or duplex, unicast or multicast. Multiple program sharing and distribution across city, regional, national and continental boundaries is achieved through individually controlled and monitored streams. 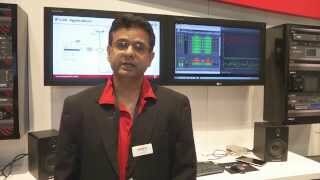 Web browser interface and SNMP-based management allow for either centralized or decentralized control. NetXpress leverages the use of TDM and IP-based networks in primary and backup modes.